Carl’s name is known to everybody who has done a counselling course. Today it is hard to realise how revolutionary his ideas were in the 1930s and 40s. In the video above Carl describes when he became aware that his approach might prove controversial with professional colleagues. Psychoanalysis was an option for the rich, but few people had the opportunity of basic counselling. He changed all that and was, as one book called him The Quiet Revolutionary. Carl saw much of his work as helping people to develop in their lives and work. 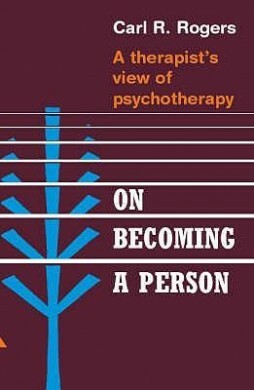 One of his best known books, for example, is called On Becoming A Person. Carl outlined what he saw as the core conditions for building a good therapeutic relationship. He saw the helper’s role as demonstrating the following qualities. This called for being genuine and honest with the client. This called for showing you were able to understand and experience the world from the client’s point of view. This called for supporting and accepting the person, rather than being judgemental. This may sound basic. But it was radical for an era in which the doctor, psychiatrist or other expert was expected to stay aloof. In the second video Carl reflects on the importance of creating the right conditions when meeting the client. Rogers explained that at first the term non directive was a protest against the approach from interventions that were extremely directive. He wanted to value the client and put them at the centre of the relationship. They would then be more likely to feel at ease and able to shape their future. Carl even moved away from the notion of clients – eventually calling his work the person centered approach. He believed in the following principles. This drive would press towards fulfilment and, if able to be expressed properly, would increase the person’s chances of becoming healthy. If the drive was frustrated, the person would experience difficulties, some of which might be displayed in various symptoms. You can see Carl putting some of these ideas into action via the video link below. He is interviewing a woman called Sylvia. She is extremely articulate and rational, but this is part of her challenge. She wants to live more fully without intellectualising experience. During the interview, which took place in 1980, Carl is warm, fully present and creates an encouraging atmosphere. The approach he takes may shock some people. At one point Sylvia asks him to hold her hands, which he does. The interview shows Carl’s ability to enable a person to feel at ease, share their feelings and move forward during a session. The approach he uses obviously has both pluses and minuses, but the video provides a fine example of how he translates it into action. Carl was one of the giants of humanistic psychology. Along with people such as Abraham Maslow, he laid the foundations for many ideas that we take for granted today. Few would argue, for example, against the need for providing hospitals and other caring organisations that are person centred. You can discover much more about Carl by viewing The Carl Rogers Reader on Google. “My parents cared a great deal for us, and had our welfare almost constantly in mind. They were also, in many subtle and affectionate ways, quite controlling of our behaviour. His parents wanted their growing children to be sheltered from the temptations of the metropolis, so they moved to a farm about 30 miles West of Chicago. He was 12 at the time. Working there led to him becoming interested in the patterns of nature. His father also invited experts to the farm to explore scientific approaches to agriculture. “The descriptions of all the scientific experiments on feeding, on milk and egg production, on the use of different fertilizers, different varieties of seed, of soil, and so forth, gave me a thoroughgoing feeling for the essential elements of science. Carl went on to study agriculture at the University of Wisconsin. Enrolling in 1919, he eventually switched to studying religion, with the aim of joining the ministry. He then attended an event that made him question his beliefs. He was amongst a small group of students chosen to visit Beijing for the World Student Christian Conference in 1922. Whilst there, he reflected on life. This included asking the following questions. How could it be that people from different nationalities hated each other, even though as individuals they seemed likable? How could sincere and honest people believe in different religious doctrines? Returning to college, Carl completed degree. By this time he had also fallen in love with Helen Elliot, ‘a lovely girl’ who he had known since childhood. They were then married ‘with the very reluctant consent of our parents’ and went together to graduate school in New York. His religious views may have been shaken, but Carl still planned to study for the ministry. The college he attended in New York was the Union Theological Seminary, the most liberal in the country. During his time at Union, Carl had also attended lectures in psychological and psychiatric work. These were held at Teacher’s College, Columbia University, across the street from the Union Seminary. Finding these subjects fascinating, he also studied the philosophy of education. Eventually moving over to Columbia, he began doing practical clinical work with children. Approaching the end of his graduate work, Carl began wondering how he could provide for a growing family. His studies called for doing several working placements in child guidance clinics. Eventually these led to him being offered a psychologist’s post at the Society for the Prevention of Cruelty to Children, in Rochester, New York. His salary was $2,900 a year, which was low even for those days. Career development might also be limited, because it was psychiatrists – rather than psychologists – who performed therapy. He eventually spent 12 years at Rochester. “In my early professional years I was asking the question: How can I treat, or cure, or change this person? Carl was strongly influenced by Otto Rank, an estranged former colleague of Freud. 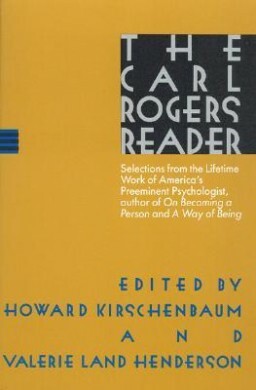 Rank’s book Will Therapy, was published in 1936, the same year Rogers invited him to lecture in Rochester. Rank believed that each person was born with a will to fulfil their potential. Expressing this freely enabled them to be healthy and, in the broadest sense, artistic. Suppressing it caused problems. The therapist could help the client by focusing on the here and now as well as, when appropriate, exploring the past. Rank also promoted a more egalitarian relationship between the helper and the client, as opposed to the expert being in charge. Carl’s approach contrasted sharply with the prevailing interventionist treatments of the time. He was relatively informal, but was also scientific. He pioneered the use of analysing recordings of sessions to gather hard data. Carl found the best results emerged when the counsellor behaved in a certain way. They created an encouraging environment, valued the person and showed empathy. Paradoxically, however, it was an unsuccessful set of sessions that provided the next breakthrough. “The problem was clearly her rejection of the boy, but over many interviews I could not help her to this insight. “I drew her out, I gently pulled together the evidence she had given, trying to help her see the pattern. But we got nowhere. “Finally I gave up. I told her that it seemed we had both tried, but we had failed, and that we might as well give up our contacts. “She came to the chair she had left, and began to pour out her despair about her marriage, her troubled relationship with her husband, her sense of failure and confusion, all very different from the sterile ‘case history’ she had given before. Carl and his Rochester colleagues began to build their practice for both children and adults. They called it counselling, however, rather than therapy, which remained the province of psychiatrists. He then wrote his first book The Clinical Treatment of the Problem Child. Published in 1939, it led to him being offered a full professorship at The Ohio State University. Three years later he published Counseling and Psychotherapy: Newer Concepts in Practice. Reaching a wider audience, this book led to invitations to speak at conferences. His presentations were often met by ‘furrowed brows’ from the traditional practitioners. Carl felt confident about the principles he proposed, however, because he had the data to back up the facts. The concept of counselling took off as veterans returned from the Second World War. People accepted the need for traumatised soldiers to clarify their feelings and, if possible, move-on. 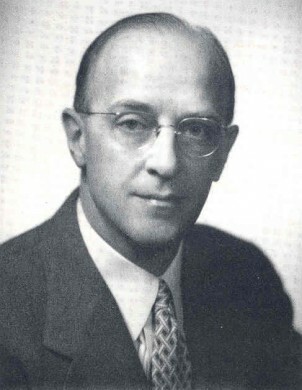 During this period Carl opened a clinic based at the University of Chicago and in 1951 published Client Centered Therapy. Despite resistance from some quarters, Rogers’ ideas gained wide acceptance and, in 1956, he was elected the first President of the American Academy of Psychotherapists. One year later he moved to the University of Wisconsin-Madison, but became disillusioned with the academic in-fighting. During this time, however, he wrote On Becoming A Person. Published in 1961, it attracted a world-wide audience. The following year he collaborated with people such as Abraham Maslow, Virginia Satir, Rollo May and Charlotte Buhler to set up the Association for Humanistic Psychology. 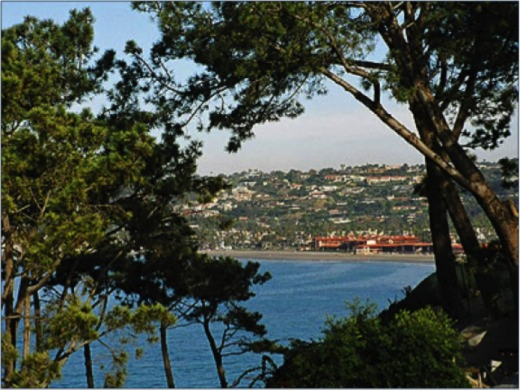 In 1964 Carl left Academia to join the staff of the Western Behavioral Studies Institute in La Jolla, Southern California. Four years later he and several colleagues moved on to set-up The Center for Studies of The Person, also based in La Jolla. Carl spent the next 20 years expanding the key principles he had established into other fields. During this time he published many books, including Person to Person (with Barry Steven) and Freedom To Learn: A View of What Education Might Become. The latter book showed how the core conditions for creating a good helping relationship could be applied to education. Becoming involved with the encounter group movement, he saw how elements of that approach could help people to make real contact. Carl moved into new territory by facilitating a workshop for 50 leading figures – leaders, politicians, academics and others – from 17 nations. The session was held in Rust, Austria, and the topic was The Central American Challenge. Called The Rust Peace Workshop, it was held in 1985. The four-day session was facilitated using person-centered principles. Carl saw the main aim as being for the participants to see each other as persons, rather than as roles or political foes. Much of the reaction was favourable, though there were some dissenters. Carl went on to facilitate similar sessions in other troubled areas, such as Northern Island and South Africa. This work contributed to him being nominated for the Nobel Peace Prize. He also fulfilled a dream and ran workshops in Russia. Carl continued to work but, in early 1987, he fell and suffered a fractured pelvis. The operation to repair his pelvis was successful, but his heart began to fail. He died several days later on February 4. Carl’s remarkable legacy remains, so let’s explore some of his beliefs. Carl is known as the father of modern counselling. He also gave birth to the people centered approach in many areas of life. During his career he focused on following certain key principles. So let’s consider some of these themes. Carl believed that all human beings had a natural drive towards fulfilment. His view of actualisation was slightly different from Abraham Maslow’s emphasis on people having peak experiences. Carl’s view of actualisation was somebody becoming a fully functioning person who lived the good life. This was characterised by several factors, which included the following. They were open to experience. They were open to the reality of the feeling, views and ideas of both themselves and other people. They trusted their own organism. They trusted their feelings, drives and experiences. This meant that, whilst still very much open to learning, they became more accepting of themselves. They were able to live in the here and now. They experienced ‘existential living’ and were fully present in the moment. They coupled this with being able to plan and shape their future. They were willing to see life as a process – rather than as a destination. This meant appreciating the adventure of living, learning and loving. Life is a process of ‘becoming’ and enjoying the journey towards fulfilment. They were willing to take responsibility and use their creativity to help future generations. Carl equated creativity with the term generativity, as used by Erik Erikson. This is: ‘the concern in establishing and guiding the next generation’. Carl believed that all living things had a drive toward actualisation. Many of his beliefs were formed from watching the processes in nature. As a scientist, he saw how organisms stretched to fulfil their potential. His books contain examples of how plants, trees and other living things related to their environment. The organisms that succeeded, he believed, were those that channelled their natural strength and yet also embraced complexity. This enabled them to develop the resources to deal with challenges. Those that remained narrow did not have the variety to overcome adversity. He believed that, to be fully human, a person must be true to themselves – yet also be willing to learn from experience. People who are true to their nature are more likely to find fulfilment. Those who aren’t may experience problems of living. Life is full of setbacks, however, and some forces can throw a person off course. They may encounter severe criticism, pressure to conform or other disturbing challenges. Certainly we must all take charge of our lives, but pressures sometimes mean we forget to be our true selves. Alternatively, we may choose to live in what the existentialists call bad faith. We know what we can become, but find the risk too great to take. We later discover it is even riskier not to follow our calling. Carl expanded this philosophy of being real when venturing into other areas. His work with conflict resolution, for example, encouraged the participants to get to know each other person to person. Recognising who the other person was – somebody similar to you with a family, needs and hopes – was the precursor to building long-term solutions. The key lay in daring to be real, work with others and find win-win solutions. One accusation laid at Carl’s door was that some people interpreted his philosophy as a license to just do their own thing, regardless of the consequences. He repeatedly emphasised the need to help others to fulfil their potential, however, because this was the only way to build a fair and creative society. “Therapy is not a matter of doing something to the individual, or of inducing him to do something about himself. “But is that enough?” somebody might ask. Carl felt it was, but others believed he overlooked a key factor. He was a gifted teacher. He knew how to ask the right questions at the right time and he had great wisdom. No matter how objective Carl may have been in the session, his gifts contributed to the experience. Put on the spot, however, he reiterated his basic beliefs. The key was to provide the right environment. People could then develop their inner strength and pursue their chosen path. Counselling was one vehicle for enabling people to become what they wanted to become. Accepting who one is depends on knowing one’s strengths and limitations. That calls for taking reality checks and believing that the facts are friendly. The link below leads to a video of Carl in conversation with a small group. This gives some insights into his overall approach. He was the father of modern counselling. He was the first person to use the word client – rather than patient. 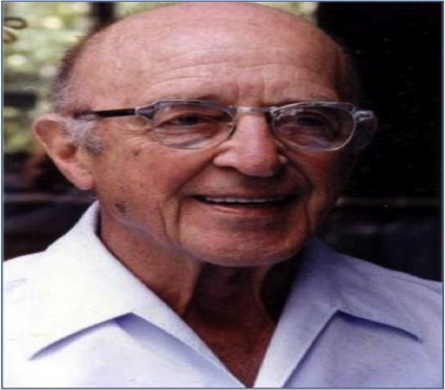 He developed the concept of client centered therapy – later to become the person centered approach. He clarified the core conditions for building a helping relationship. This included genuineness, empathy and unconditional positive regard. Some of these concepts have passed into daily use in approaches to therapy, education and management. He was one of the first therapists to record sessions, analyse what happened and clarify what worked. He co-founded the Association for Humanistic Psychology. He ran pioneering conflict resolution workshops focusing on Central America, Northern Ireland and South Africa. Carl remained optimistic throughout his life. Speaking in his late 70s, he reflected on the past few years being among the best he had experienced. “This new world will be more human and humane. It will explore and develop the richness and capacities of the human mind and spirit. He emphasised the importance of creativity, in its widest sense. For him this meant doing one’s best to encourage future generations. Carl’s influence has spread across many fields – putting the phrase person centered into our vocabulary. His pioneering work reached millions of people. Quite a legacy for such a quiet revolutionary. Finally, at the Evolution of Psychotherapy Conference in 1985, here he is talking about being a planetary citizen.